DUSSC, as in Durham University Ski and Snowboard Club *** NOTE: NOT DUSSC as in Dundee University Ski and Snowboard Club (‘is that the DUSSC that doesn’t drink and know how to have a good time?’ – dusscling 30/09/2015) *** is victim to many vicious and spiteful rumours that degrade its integrity as the snowsports representative for Durham. As a dedicated member of the club, it is my duty to set the record straight once and for all. Here follows every malicious lie that has ever been uttered about DUSSC and the evidence to suggest otherwise. ‘Dullham’ is the particularly uninspired name we get jeered at us and frankly it’s getting a little old now. I’m not entirely sure why we’ve got a perception of being a bunch of saddos who would rather be in the library than drinking a larger. We’re understood to host wine and cheese evenings and tune into the Great British Bake Off religiously. Basically, we’re middle-aged. 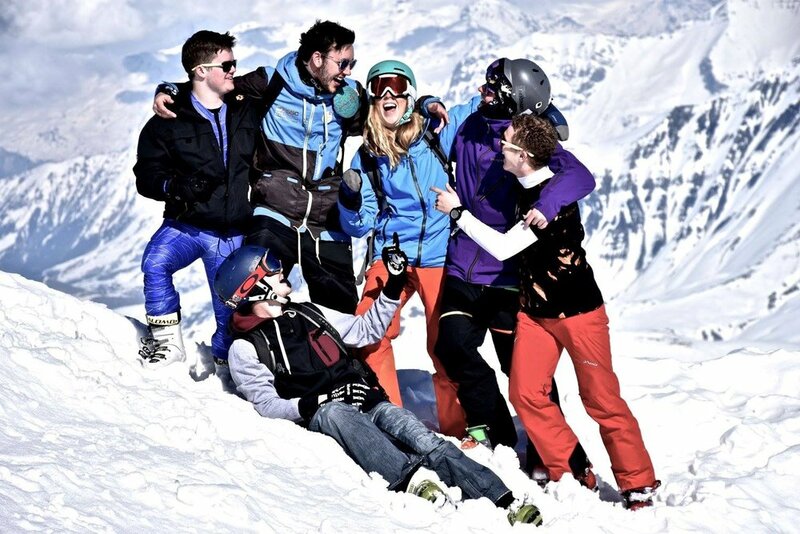 For those University snowsports clubs that don’t know any better – who can blame them, it’s not even like they were clever enough to even apply to Oxbridge let alone get rejected by them – the fall-back position is to call us ‘boring’. And it’s actually really quite hurtful. Try as we might, no matter how many shots we take we can’t seem to shake our lackluster reputation. The thing is, ‘boring’ is the complete antithesis to our actual reputation on and off the slopes. Durham, despite its relatively small club size, is not exactly known for being under-the-radar and generally uninteresting. We’re not Sheffield. Was it not Durham getting shout-outs at Kings comps across the country for weeks due to one slightly overexcited dusscling at BUDS making a big impact on the Bath Snowsports community? Is it not Durham, rather than the host Newcastle, who is responsible for the most legendary story of NUSSC Ball history, which still echoes across the stands at the Newcastle Fresher’s Fair? We may not have the size or the funds of SKUM or Leeds Snowriders but what we lack in stats we make up for with enthusiasm, a penchant for all things rogue and a can-do(/drink) attitude. It is generally assumed that Durham is full of posh southerners who learnt to ski by the good grace of Mummy, Daddy and the chalet in Verbier. I mean, it’s simply not true (apart from the chalet in Verbier bit, obviously). Our President – the chosen leader and no.1 embodiment of our great club – isn’t even close to posh; El Presidente may be a very classy gal, but you’d be pushed to find traces of nobility in the blood of this northern-Irish freestyling legend. In fact, DUSSC is probably one of the few societies within Durham – alongside DJ soc and Labour Club I’m guessing – that would take genuine and conversation-ending offence to any suggestion that they went to private school. Red chinos aren’t really DUSSC’s vibe. Steeze is social currency and anything not XL, apart from underwear, is punishable by -5000 G.N.A.R. points. We categorically DO NOT go out on a sport’s Wednesday, we don’t walk around head-to-toe in Stash and 95% of us aren’t called Freddie or Olivia. I’m pretty sure we only have 3 OEs. In the interest of complete transparency, surreptitiously we are actually a little bit posh but we hide it really, really well (apart from rocking up to training in a Range Rover). ‘I’m the best skier on the mountain’ isn’t just a bit of chat. It’s fact. I mean sure, we’re not exactly topping the BUCS tables and those who occasionally are a little successful are practically caste in gold and mounted on top of the Library, but this can in part be attributed to many talented dussclings favouring a G and T over GS. And probably not enough training (who wants to ski on carpet anyway?). Admittedly, our attitude towards racing tends to be a little more nonchalant than is needed for serious podium presence. I’m not sure being one of only 30 qualifying for the ladies slalom final...and then missing it because said dusscling was at Wagamamas, counts as fervent athletic commitment. And for myself training sessions on a freezing Tuesday evening in Sunderland, and alongside the intimidatingly good NUSSC team, normally end prematurely (by aprox one hour, I kind of CBA) and involve McDonalds somewhere along the line. Needless to say, my attendance at training is few and far between. After all, why waste time and energy on a dry slope when you could be applying for a PWC internship instead? Although this is definitely not to say that people don’t train very, very hard to improve their skills and subsequently reap the rewards. It’s just not very common. Really it’s when we’re let loose in the mountains that we reveal our true abilities. A desperate infatuation with snow and a chauvinistic approach to skiing (as well as to life) means we can shred for hours with the best of them. We’re just like any other snowsports club! So, if you were ever wondering if there’s more to life than being really, really, ridiculously good looking, I think you have your answer: it’s DUSSC.